“Prometheus” will be digitally re-mastered into the image and sound quality of The IMAX Experience® with proprietary IMAX DMR® (Digital Re-mastering) technology. The crystal-clear images coupled with IMAX’s customized theatre geometry and powerful digital audio create a unique environment that will make audiences feel as if they are in the movie. Ridley Scott, director of “Alien” and “Blade Runner,” returns to the genre he helped define. 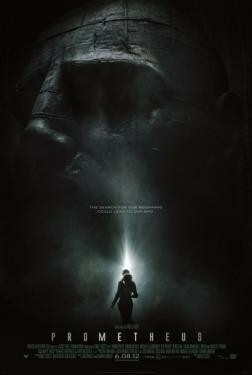 With PROMETHEUS, he creates a groundbreaking mythology, in which a team of explorers discover a clue to the origins of mankind on Earth, leading them on a thrilling journey to the darkest corners of the universe. There, they must fight a terrifying battle to save the future of the human race.